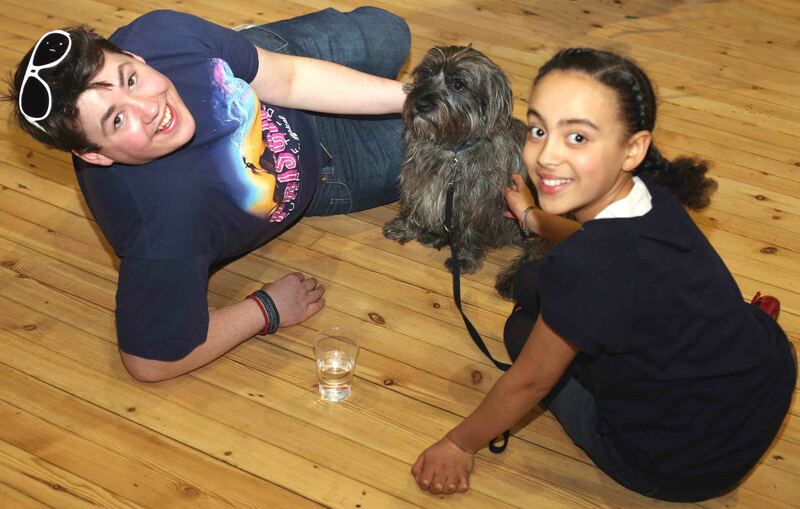 We are blessed to have such a talented designer as Scott Taylor who has created all of our posters, programmes, flyers and ads,; all free of charge, for several years now. Ad what’s more he does them all from his studio in The Virgin Islands. 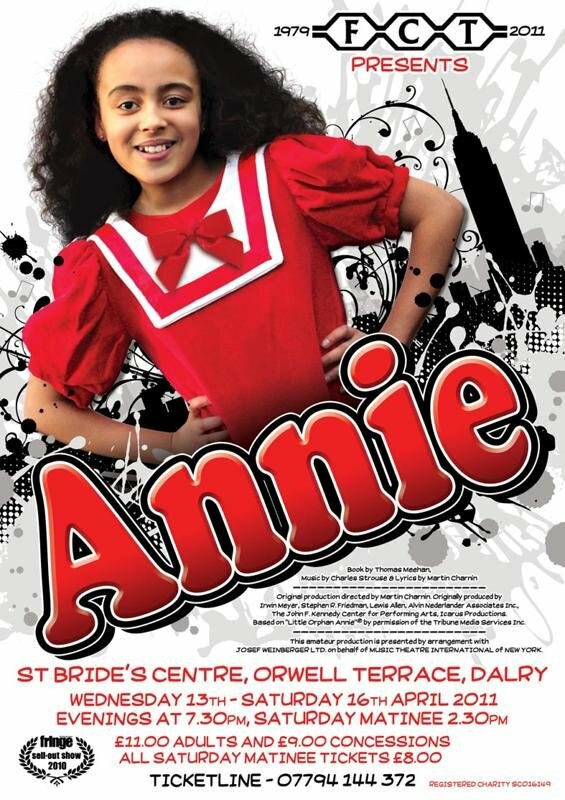 Go Scott, another fantastic poster with Harmony looking fantastic in her full Annie costume. More masterwork from the costume wifies of Bangholm. Last week Vic, Lynne, Izzy and Joyce pulled off the not insubstantial task of running (a bit roughly it has to be said) Act 1. So it’s an exciting staging post as we head for showtime. We’ve also attracted four new advertisers for the programme thanks to the excellent work of new Fundraising, Finance and Marketing committee member Diane Gordon. While we’re at it let’s hear it for Gordon Weston who quietly gets on behind the scenes as a member of the same committee managing our databases and sending members and supporters email updates, reminders and information. Thanks Gordon. OMG. Is that Lynne actually cheezin'?